EnerNOC (NASDAQ: ENOC), the Boston-based company that pays factory operators, store owners, and local governments for the right to dial back their electricity usage during times of peak demand, announced today that the City of Boston is finally diving into the local “demand response” pool. Under a new agreement negotiated with the office of Mayor Thomas Menino, Boston City Hall, the Boston Public Library, and Boston Police Headquarters will be equipped with remote-controlled meters that allow EnerNOC to reduce non-essential electricity usage whenever local utilities need a buffer. In return, the city will get periodic payments—whether or not it’s ever called upon to cut usage—plus additional money for every actual demand response event. 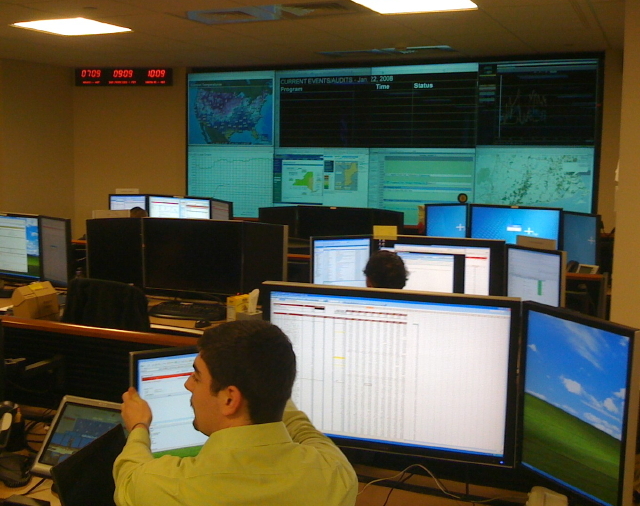 EnerNOC had previously landed clients seemingly everywhere on the Eastern Seaboard except its home city. As we’ve reported, the State of Rhode Island, the State of Vermont, the State of Connecticut, and even the Pentagon have joined EnerNOC’s pools, whose willingness to contribute “negawatts” by cutting electricity consumption during heat waves or other emergencies means utilities don’t have to build additional fossil-fuel plants. But Boston wasn’t a participant, until now. EnerNOC chairman and CEO Tim Healy says the Boston contract has both practical and symbolic importance for the company. “There’s a lot of great discussion and dialogue about what the Commonwealth of Massachusetts and the City of Boston can do to create green jobs and green initiatives, but the fact that the city has decided to step forth and participate and find innovators right here in its backyard, while putting more revenue back into the city’s pockets, is important to us,” Healy told me last night. Like all EnerNOC clients, the city will get free access to a proprietary EnerNOC software package called PowerTrak. Using data collected by the monitoring and metering equipment installed at each EnerNOC client site, PowerTrak helps business and institutions identify ways to cut energy use.